First Love of a Royal Prince (2004) ~ Revisiting an Korean drama Oldie: A great travelogue? Hello. This is a Korean in America. Today I will be going over a Korean drama from the past that many may not know as it was an OK show when it aired but was not as ground breaking as “Lovers in Paris” (2004) for its time. This Korean drama is the “First Love of a Royal Prince” (2004). The shows that were groundbreaking at the time and still stand up today are called classics. However, what about the other shows that were rather decent at the time but have been forgotten now because of the fact that they were just ok? It is difficult to give a name for those shows. Do we call them “oldies but goodies”? In a way, “oldies but goodies” shows are different from nostalgia shows. While nostalgia shows do not have to work in the present, “oldies but goodies” shows still need to work enough for the modern viewers to enjoy them. It does not hurt the show if the show was made during an interesting time in history. I think the show “Love of a Royal Prince” (2004), although not a classic Korean drama, falls into this category of “oldies but goodies” shows. With the “Lovers in Paris” (2004), the show was at the forefront of the casual “Trendy” Korean drama wave during the 2004 A.D. The show is centered around the “girl”, Kim Yu-bin, who is a cheerful and kind spirited girl in her mid-20s. Since she liked to play rather than study, she does not have a good academic pedigree. After graduating from college, she has been working odd jobs including making sandwiches in a sandwich shop. This is a time when sandwiches had become popular lunch menu in Korea. During this time, she has been trying out for a G.O. position at an international resort company. The G.O. position is basically a resort customer service employee. Our “girl” wants to travel the world and see thing while meeting interesting people. In the beginning of the show, our “girl” has a crush on an executive at an “Insert here” brand mobile phone company. Remember, these cellphones are flip phones which are not pocket computers. She calls him “Batman” since he is cool like Bruce Wayne. Our “Batman” or Cha Seung-hyun has no real idea our “girl” exists. I’ll just call him “Batman” from now on. And there is the “prince”, Choi Gun-hee , who is your typical spoiled and idiotic conglomerate heir. Since he is played by Cha Tae-Hyun, who built his career as comedic but lovable idiots, the “prince” is not totally deplorable. He is only irritating. The plot of the “Love of a Royal Prince” (2004) is basically a love triangle between the “Batman” and the “prince” fighting over our “girl”. Our “girl” is confused between the manly and kind “Batman” and the idiot but emotionally damaged “prince” who she may fix. So, just imagine the “Twilight” love triangle but not as stupid or boring. In the background of this love triangle, there are families and a secret of birth. It is a Korean drama after all. How should I describe this show? While this is a love story, it is not as intense as what you see in the supercharged melodramas you see today. At the same time, the characters are not super-emotional wimps as you see in most shows. Well the “prince” in an exception. However, even he is not as “emo” as the typical character now. The best word I can come up with is… casual. “Love of a Royal Prince” (2004) is a very easy going show. We, the audience, can just watch the characters go about their days acting cute and cuddly. In a lot of ways, it is like watching hamsters running in a wheel. It is just pleasant. It does not hurt that like 40% of the show feels like a travelogue and a promotional film for “Club Med” which it actually is. “Love of a Royal Prince” (2004) is situated in an interesting period in Korean drama history. Starting with “Autumn in my Heart” (2000), Korean dramas made shows that were picturesque love stories with a more than slight tragic bent to them. What we call “Hallyu” started with these shows. For Koreans, the natural progression of these shows was to go deeper into the tragic angle. “Something Happened In Bali” (2004) and “Phoenix” (2004) were the height of that trend and were very depressing. While I could get myself into “Phoenix” (2004), personally, I thought “Something Happened In Bali” (2004) was simply too depressing. Even in real life, those shows were depressing as the lead actress of “Phoenix” (2004) committing suicide the following year. Thus, everyone was ready for a change. This is why shows such as “Lovers in Paris” (2004) and “Love of a Royal Prince” (2004) followed right after the depressing shows. The audience wanted sunshine, rainbows, and bunny rabbits. “Love of a Royal Prince” (2004) is a show on the forefront of the “go abroad and film stuff just to show the poor people what they are missing out on” movement. While this movement is still active, around 2004 and 2005 it was at its peak. You could see reference to this movement in shows such as “On Air” (2008). The production companies tend to fund this by receiving support from either the companies or states. With “Love of a Royal Prince” (2004), it was “Club Med” as the show travels all around many of their locations. While this type of blatant, business promotions tend to be not that welcoming, the travelogue filming style and the laid back approach the show has goes well with the beautiful scenery of exotic locations. In other words, “Love of a Royal Prince” (2004) feels like watching kids on vacation. In addition to foreign location filming, “Love of a Royal Prince” (2004) was also at the forefront of the “casting rather amateurish actors in shows” trend. While people have always claimed that the acting in Korean dramas were rather subpar, prior to the 21st century, most of the TV actors or what we used to call “talents” were actually professional actors. During that time, there was a rather strong network system put in place in which most of the TV actors at least started out as contract player for individual networks. It is only when we entered the 21st century that this system started to break down and actors went for an agent based system. One of the effects of this change was that people who did not view acting as a profession before started to be cast in Korean dramas in exchange for using their fame. This led to the common Asian practice of casting “POP” stars in everything. While this was a rather common practice in Japan for a long time, for Korean dramas, this is a rather new practice. In Korea, this phenomenon coincided with the Kpop crash of around the millennium. Because of illegal downloading, the market for Kpop became 20 % of what it used to be prior to the crash. What is now known as Kpop is what came out of the rubble. As a result, Kpop stars started to look for other streams of revenue to replace CD sales. Thus, they ended up in Korean dramas. Sung Yu-Ri who plays the “girl” was one of the Kpop stars who made a successful transition early on. She was a member of K-pop group “Fin.K.L.” prior to becoming an actress. Eugene is another example of this as she was member of girl group "S.E.S". However, Sung Yu-Ri is not the only inexperienced armature actor in “Love of a Royal Prince” (2004). Kim Nam-Jin who plays “batman” was a model before getting into acting. 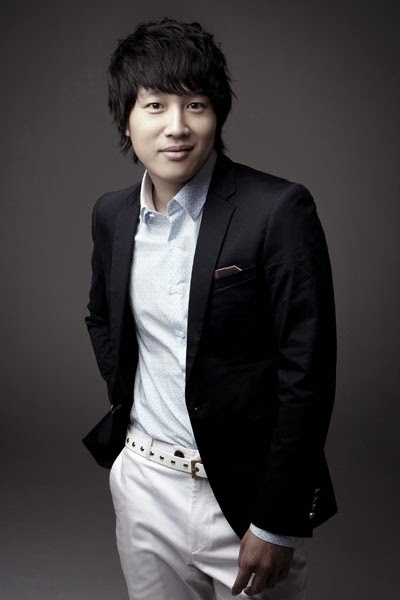 Among the young cast, Cha Tae-Hyun who played the “prince” was the only professional actor. He had acted since he was much younger although he was more known for his comedic acting in movies such as “My Sassy Girl “than his dramatic roles. At the time of the show, there were some serious concerns about the quality of the young cast who were the center of the show. So, it is very noticeable that they packed the show with older veteran actors. There is a strict divide between those who can act and those who are not that good at it along age lines. And this effort actually works. Throughout the show, you have the young cast playing around and having fun in exotic location. The show does not push them to handle material beyond their range. The “girl” is just meant to be cute and confused. The “prince” is just meant to be spoiled but fixable. The “batman” is just meant to be a perfect dreamboat but with a heart. The young cast does this well enough. While they have some problems at the tail end of the show when there are more dramatic scenes, the older cast does keep the show a float a lot. Overall, everyone is at least watchable. “Love of a Royal Prince” (2004) would never be called a great show. However, it is not a show that should just be forgotten also. It is an easy going show that one can leisurely watch as young kids run around in beautiful scenery and play the game of love as if they were adults. It is simply precious! For those who have become tired of watching the super-melodramatic Korean dramas of the present or someone who is just getting into the Korean drama scene, “Love of a Royal Prince” (2004) is a low risk and low investment show to watch. Your review was very thorough and well-written, but I would never recommend this drama. This drama is what I consider the worst Korean drama in history. It annoyed me in every way. Cha Tae Hyun's character was whiny and needy. Sung Yu Ri's character changes so easily. The other second male lead was so stiff and unengaged. The story line was ridiculous and all over the place. The drama was terrible and I would never consider it an oldie, but goodie. It's on my "avoid at all costs" list. I could go on and on about what I don't like about it, but it's one drama I will never want to watch ever again. Actually, in one interview, Cha Tae Hyun mentioned that "Full House" was airing at the same time as his drama. Rain had asked Cha Tae Hyun what Cha Tae Hyun thought about Rain doing the drama "Full House" before it aired. Cha Tae Hyun encouraged Rain to go for it, but once Cha Tae Hyun saw the ratings shoot up for "Full House" and his own drama "Prince's First Love" dip low, Cha Tae Hyun started having panic attacks. Sad, but true. I thought that was a fun story and a testament to how the public didn't like this drama either. I was generous but its so casual I find it easy background viewing. Laid back is better than over the top. Unlike most #Kdrama that came out over the last half year or so. Today's shows are so cluttered and over melodramatic that I found off. #Kdrama should not become telenovellas. I prefer simply over the. Extreme makes organic storytelling more difficult to do. I don't care for whiny, needy, immature, jerk Chaebols, unless they make a big turnaround, but even then, they are still immature jerks, why should they get pass simply because they are in love? Even Serial killers fall in love. They're still killers. :o I guess everything's fine as long as the sweet, plucky girl is around to clean up their mess or keep him in line. But what struck me in your review is what I noticed in earlier K-dramas. They are leisurely stories, laid back, as you say, not crammed and cluttered. They may have a ton of cliches, but I forgive them because those were the early days of cliches. I've seen Kim Nam-Jin in a few dramas already and he's beautiful to look at. His acting fluctuates, but I like him. I would say he's someone who improved over time. The verdict is still out for me about Cha Tae-Hyun. I know he plays lovable idiots, but sometimes that can be overbearing and obnoxious. Sung Yu-Ri is very pretty, and I'd say a capable actress. I last saw her in "Birth Secret." and she starred in a drama with Kim Nam-Jin called a "1000 years love." She time travels, and he's a reincarnate of the warrior who killed her love, So Ji Sub. SJS wins worst drama hair ever award in that one!! The drama could have been epic, but it was a hot mess.